The biggest problem that results from this is an attitude that English is the only language that matters. This is, of course, a gross generalization. But, it’s one that I’ve developed looking back on my time in French classes as well as my experiences with languages since moving away from Canada. Trapped in my English bubble I didn’t appreciate the value of speaking more than one language. Growing up in Toronto, I had many friends who were bilingual, trilingual, or better. Many of them didn’t speak English as their first language, but they spoke it fluently. Having to communicate in a language that wasn’t English was never an issue for me. Almost three and a half years later my experience abroad has flipped my ignorance on end. Though certainly not speaking Spanish fluently, I feel that I speak it very well. While I have trouble with some words or certain conjugations from time to time I can’t remember the last time I failed to communicate something or there was a “lost in translation” moment. To me, that is successful. This is why it’s so surprising to encounter people, outside of their home bubble, with the opposite attitudes. That is, people who have lived abroad, still live abroad, and, in many cases, have done so for much longer than I have. I meet people all the time that have been in Costa Rica for many years and still can’t speak Spanish past an extremely basic level. I understand that language isn’t everyone’s thing; from my experience as an ESL teacher I have seen example upon example of this. Every ESL trainer textbook will tell you the generic and overly optimistic line that anyone and everyone is capable of learning a new language. This is only partly true. Learning languages, I’m convinced, is a skill. Just like some are good at math or science, some are good at language. I am not good at math – never have been and never will be. But ability isn’t the point, either. Language entitlement is not about ability but rather about attitude. I am happy to be able to call myself something today that the high school version of me would never have thought possible: bilingual. While I’ve never taken a Spanish class in my life, I also didn’t learn just by sitting around and listening to people talk. In my first months in Costa Rica I locked myself in my room, read grammar books, searched the internet, and made myself write out conjugations and basic sentences by hand. It was boring. Brutally boring at times. But it was worth it. Couple this with amazing – and amazingly patient – friends and the base I developed grew into a skill set. Still today I ask questions about the language to the point that people don’t want to talk to me anymore. I know my Spanish isn’t perfect. I also know it never will be. But fitting in with a different culture also involves their language. Just because they speak English doesn’t mean you should. The secret is that locals honestly care more about your effort than they do your ability. Effort represents respect. Now that I’m leaving people have started asking me what I would tell someone moving abroad for the first time. An important start is to not let your native language make you complacent. You get out of the experience what you put into it. My daughter has the same feelings about her French classes and as a parent, and former teacher, I wish the French curriculum taught in the English dominate areas of Canada were more intensive and bent on turning our children into true bilinguals. I have told my daughter that she needs to resign herself to learning French well enough to read, write and be conversant because as far as I am concerned, she is going to be taking French right up to graduation. I too used to marvel at my ESL students who easily spoke two or three languages. I myself am hopeless though I can read a bit of Spanish still and amazingly a bit of French though I had just one year in grade nine. Nice blog. I found you via a link on The Isaac Brock Society. Someone shared an article you wrote about FATCA. Very well done too. You’d be surprised if you knew more or had a better sense of the actual numbers of Americans giving up citizenship. It’s much higher than the stats the US is willing to share. Again, nice blog and thanks for the FATCA article. Canada has yet to sign an agreement to enforce it (there are Charter issues) but it is causing duals more trouble than you know. Thank you so much for the kind words! I’m glad you also enjoyed the Fatca article. It’s a huge deal, obviously, and one that has been kept more or less as a secret for a long time. It’s time people became aware of its ramifications and the trickle down effect that it has and will continue to have. The French curriculum in Canada annoys me as well. Your daughter is a great example of the system, though. 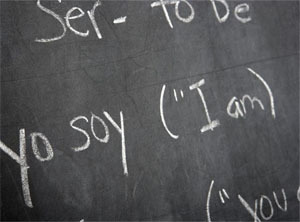 It doesn’t communicate the need and value of being bilingual or better; the classes are simply seen as an inconvenience. Looking back, I wish I had cared more. Being teachers we can clearly see that now, but the trick is to allow the youth to see it at an age when they can take advantage of it. The style obviously needs to change as well. Teaching non-verbal skills has value but the goal of another language is to be able to speak it. The Canadian system as it stands doesn’t do that. Thanks again for reading. It’s great to hear feedback and that I’m not the only person who thinks these things!